I found this trick in one of my Alton Brown books. 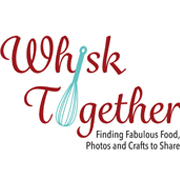 It is how I make all my caramel popcorn and such, but never realized to put it on Whisk Together. Since the FDA has asked the popcorn manufacturers to “voluntary” stop using chemicals that are potentially harmful in their popcorn bags, this was a nice alternative. The counterargument is that the brown lunch bag being used is not food grade safe. Although one does put their lunch in there…. it is in the microwave, so I will keep using this trick until I get an popcorn air popper instead. 1. 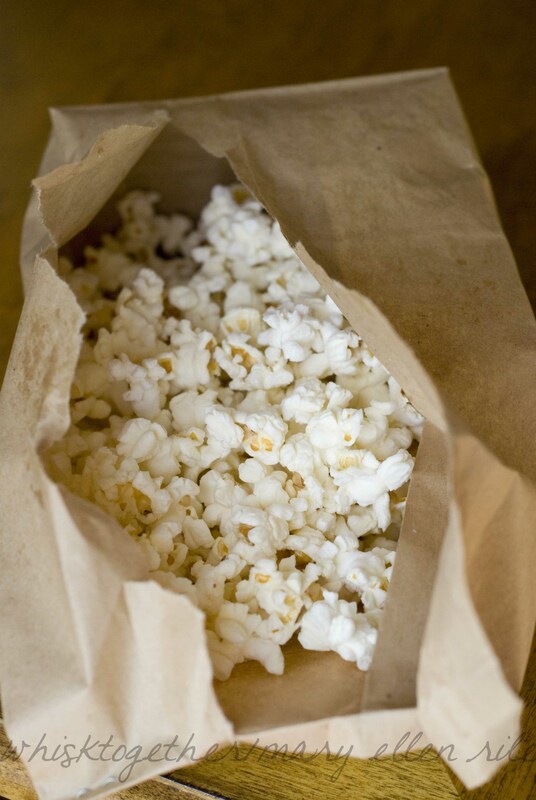 Take the kernels and put them in the brown lunch bag. At this point, fold the top over twice. 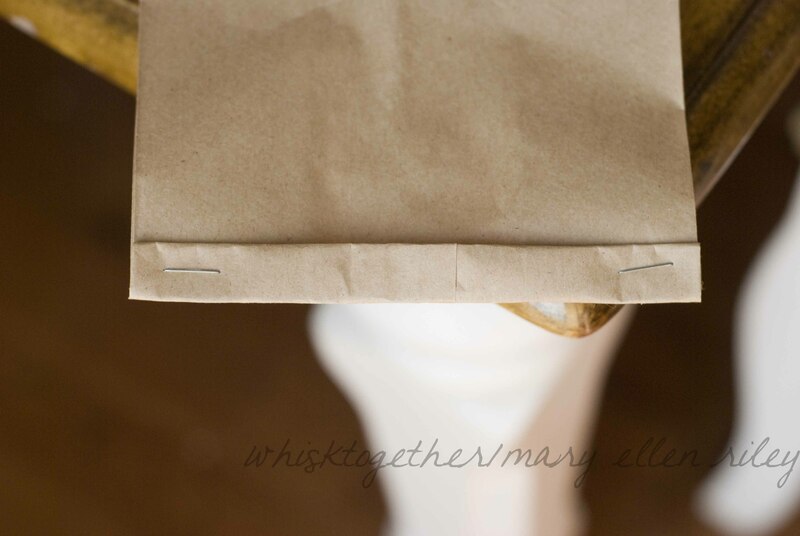 If you are afraid of the popcorn popping out, staple each end making sure the staples are 2″ apart. The staples will be okay and NOT catch fire. I promise. I have done this like 25 times. 2. Or, you could fold the bag over and stand it on its end if that will fit. That way the popcorn stays in the bag. 3. Microwave for 2 minutes. The pops will be 3-4 seconds apart once it is ready. In my microwave, this is always 2 minutes. I tried 2 minutes and 30 seconds once and ended up with burnt popcorn. The original Alton Brown recipe suggested to add a tablespoon of brown sugar and “see what happens.” Yeah…. nothing much happened. I threw it away because it tasted bad. Sorry, Alton. It is awesome. I tried two air poppers and hated both. Unpopped corn, popcorn on the counter and floor, tight dense popcorn, and loud. But the Nordic ware? Perfect every single time. They are sometimes with the popcorn and sometimes in housewares at target. The reviews are always great too. That is awesome!!! There weren’t any details, but on Amazon it says it is made of a special chip-free material, so that must be why it is food safe. I am definitely going to get this. Thanks so much. And it would help to make more than 4 little cups of popcorn sometimes. I know it is bpa and melamine free. One of my favorite buys ever. I don’t add any oil at. Just the kernels.